It's the latest of several companies that have apologized for perceived slights to China's sovereignty. People pass by the GAP clothing retail store in Manhattan, New York, U.S., Aug. 15, 2016. HONG KONG — The U.S. clothing retailer Gap apologized Tuesday for selling T-shirts with what it says is an incorrect map of China that didn't include self-ruled Taiwan, in the latest example of corporate kowtowing to Beijing. "Upon the realization that one of our T-shirts sold in some overseas markets mistakenly failed to reflect the correct map of China, we urgently launched an internal investigation across the group and have decided to immediately pull back this T-shirt from all the concerned global markets,'' the company said in a statement, adding that the shirts had already been pulled from Chinese shelves and destroyed. The company took action after photos began circulating on Chinese social media of a T-shirt showing a map that didn't include Taiwan, a self-ruled island that Beijing regards as Chinese territory. The map also appeared to leave out southern Tibet and the disputed South China Sea, the state-owned Global Times said, adding that it drew hundreds of complaints on China's Weibo microblogging platform. "We sincerely apologize for this unintentional error,'' said the company, which issued the statement through its public relations firm APCO after making a similar apology late Monday on its Weibo account. "sovereignty and territorial integrity'' and strictly followed the country's laws and rules. 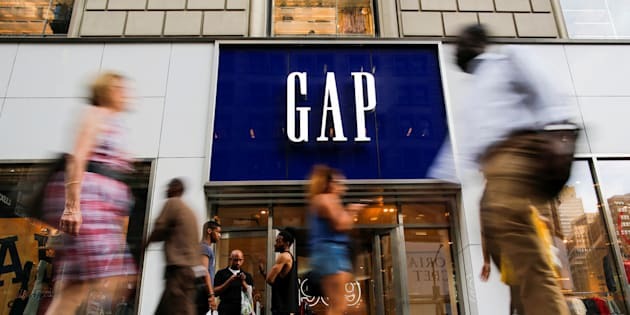 China noted Gap's apology and "will follow carefully their actions and remarks later on,'' Foreign Ministry spokesman Lu Kang said at a daily briefing in Beijing. Delta Air Lines, hotel operator Marriott and fashion brand Zara are among businesses that have apologized to China for referring to Taiwan Hong Kong, and Tibet as countries on websites or promotional material. Mercedes-Benz said sorry for quoting the Dalai Lama on social media. The Tibetan spiritual leader is reviled by Beijing. AP researcher Liu Zheng in Beijing and videojournalist Johnson Lai in Taipei, Taiwan contributed to this report.